State run KCNA news agency cited a spokesman at the foreign ministry's research institute of American studies arguing that the United States made a "nonsensical argument" that it helped Syria produce chemical weapons. 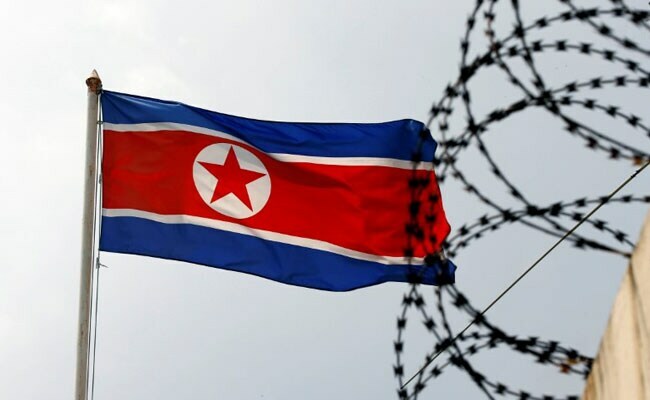 Seoul: North Korea denied reports it had cooperated with Syria on chemical weapons, dismissing them as a fabrication by the United States to pressure the country, state media reported late Thursday. "As we have clearly said several times, our republic does not develop, produce and stockpile chemical weapons and opposes chemical weapons themselves," the spokesman said, via KCNA. Robert Wood, U.S. disarmament ambassador to the Conference on Disarmament, said on Wednesday that there has been a history of a relationship between the two countries with regard to missile activity, chemical weapons components. Two North Korean shipments to a Syrian government agency responsible for the country's chemical weapons program were intercepted in the past six months, according to a confidential U.N. report on North Korea sanctions violations. North Korea has been under U.N. sanctions since 2006 over its ballistic missile and nuclear programs and the Security Council has ratcheted up the measures in response to six nuclear weapons tests and several long-range missile launches. The world's chemical weapons watchdog in The Hague opened an investigation on Sunday into attacks in the besieged, rebel-held Syrian region of eastern Ghouta to determine whether banned munitions had been used, diplomatic sources told Reuters. Syria signed up to the international ban on chemical weapons in 2013, as part of a deal brokered by Moscow to avert U.S. air strikes in retaliation for a nerve gas attack that killed hundreds of people, which Washington blamed on Damascus. In the years that followed, Syria's declared stockpile of banned poison gasses was destroyed by international monitors.